It is well known that core is the most important carrier of deep underground geological information, either for conventional geological drilling and oil and gas drilling, or for scientific drilling which serves for earth sciences. Therefore, how to obtain high quality core under the different conditions is an eternal problem that always lies ahead of drilling engineers. 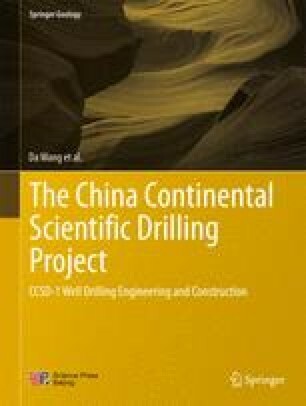 Core drilling techniques are the main key techniques for CCSD-1 Well, directly affecting the success of the whole project, and its efficiency and quality.